Perhaps you want to take your Pilates to the next level, focus on your problem area or rehabilitate an injury. 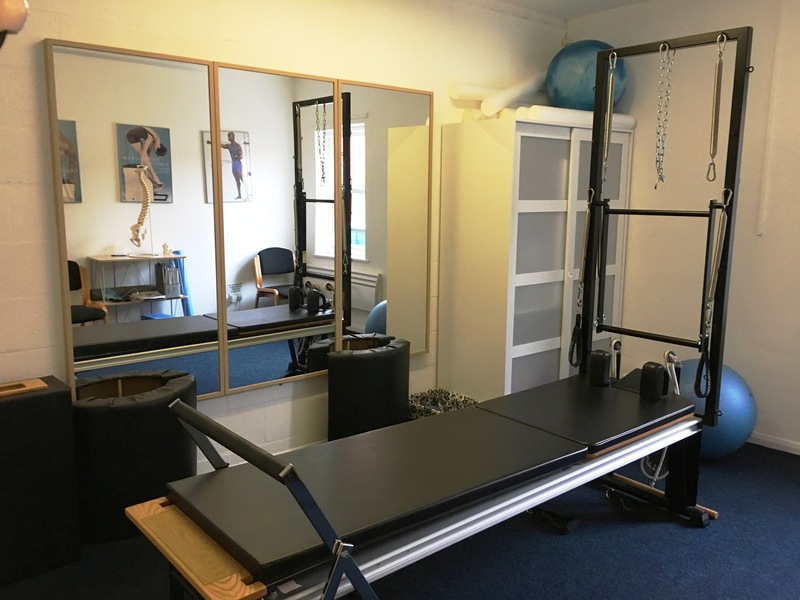 Book in for a one-to-one Reformer or Matwork session from 9am to 2pm on a Monday, Wednesday or Thursday – please contact us to make a booking. Reformer or Matwork Private Sessions? Reformer Pilates involves using a ‘Reformer’ machine – as you can see from the picture, this looks like a sliding bed attached to springs. We can provide greater resistance by increasing the springs, or challenge your core more by reducing the springs – this adjustable resistance helps to reform, or correct, muscular imbalances. As the name suggests, Matwork Pilates is done on a mat, and involves movements done sitting, standing or lying down. The key element is your own body offers resistance, although we may suggest using Pilates balls or bands in your sessions. 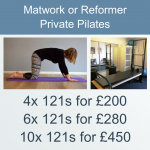 So now you know the difference between Matwork and Reformer Pilates, which should you choose for your private sessions? We’re happy to discuss things with you to help you decide, but if you’re new to Pilates, we’d recommend starting with Matwork – it’s a gentler introduction and a good way to familiarise yourself with the basics. If you’re ready to take your Pilates to the next level, focus on a problem area or rehabilitate an injury, then try a Reformer session. Please note that we recommend that you have some Pilates experience before doing Reformer sessions. We often combine using the Reformer with matwork exercises in a one-to-one session, so it’s not a case of either Matwork or Reformer. Whichever interests you more though, you can be confident that your sessions will work on YOUR issues: we tailor your programme to you – to help strengthen, stretch and rebalance YOUR body.